Immortality is common to all cultures and religions. Each provides ways for us to become better, cleaner, purer, more caring beings. 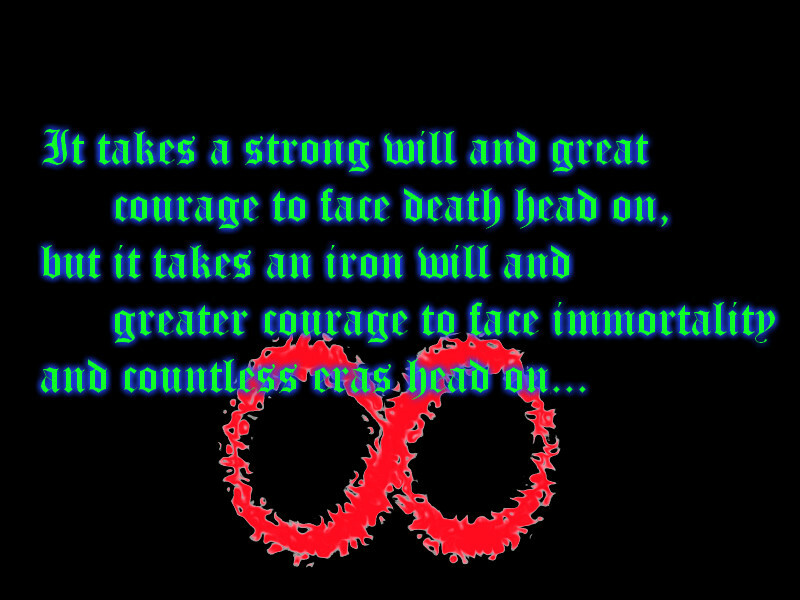 At the end of that is immortality. The debate is if its immortality of the soul or the body. Similarly, the aging boomer generation (those in their 50’s and 60’s) are concerned with aging, anti-aging, and staying young forever. We are looking at technological methods of immortality, including transfer of consciousness to another body, digital transfers, cryo and the singularity. Physical immortality was written about in the ancient story of Gilgamesh, dated to around the 18th Century B.C.E. Long before Western history says human beings existed. 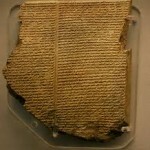 The Epic of Gilgamesh, is a story of a king seeking to become immortal. Five Sumerian poems tell the story of Bilgamesh (Sumerian for Gilgamesh), king of Uruk, and his quest. Just to keep this in historical perspective, Uruk has been linked archaeologically as the Biblical city of Erech. According to the Sumerian King list, Gilgamesh ruled Uruk in the 27th century BC. It tells the story tells of Gilgamesh and Enkidu, a wild man created by the gods. As both Gilgamesh and Enkidu become more humane and civilized through their relationships, Gilgamesh rejects the sexual advances of the goddess Ishtar, and Enkidu is sentenced to death. Gilgamesh, distraught at the loss of his friend, becomes obsessed with his own mortality. To find answers, he seeks out Utnapishtim (Noah), who was granted eternal life. He eventually learns human life is limited, but what we do and how we treat others is what lives on and gives meaning. Since the Golden Age when the gods rules, demi-gods and humans have been searching for immortality to become like the gods. This became part of our religions today. 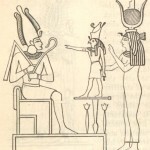 In ancient Egypt, continuation after death was normal (at least according to the common themes in the stories). At death, one’s soul (ka) is judged for good or evil deeds. If the soul is clean enough, eternal life in another world is granted. The goddess Isis returned life to her brother/husband Osiris when he was killed. Twice. The mummification and entombment with riches was believed to provide riches needed in the next world. Numerous stories of beings that died and returned to life in either the same or other forms. To the ancient Greeks, immortality included an eternal union of body and soul. The soul was eternal in Hades, but dead without the body. A few people were said to gained physical immortality and lived forever, including Ganymede, Menelaus, Peleus, Castor, Heracles, and many who fought in the Trojan and Theban wars. Others died and were resurrected, without achieving physical immortality. Asclepius, killed by Zeus, resurrected and transformed into a major deity. Achilles was killed, and taken by his goddess mother, Thetis, to be resurrected. Memnon, was killed by Achilles and resurrected. The Hindus speak of 7 “Immortal Beings”. Technically, the word for immortal means “Long lived” and not immortal. One of these was said to be cursed with a loveless immortality for certain evil deeds. The other six were blessed with very long life for their good deeds. There is a liquid, Amrita, which grants immortality and is considered the drink of the gods. The story goes that when the gods begin to lose their immortality (due to a curse), to accepted help from their enemies, the asuras, a different group of gods, & together they churn the ocean and create amrita. This was all part of creation of this world. In yogic philosophy, amrita is a fluid which can flow from the pituitary gland into the throat during deep states of meditation. Some texts say that one drop is enough to conquer death and achieve immortality. In Sikhism, Amrit is the holy water used in the baptism ceremony (Amrit Sanskar or Amrit). In Buddhism, Amrit is a sacramental drink, drunk at the beginning of all important rituals. It is said to improve physical and spiritual well-being. Chinese Buddhism describes Amrita as water, food, or other consumables often produced through merits of chanting mantras. It is blessed. Yup, Western science talks a lot lately about immortality. Sort of. In scientific terms, it is the absence of aging, usually on the cellular level. A cell is said to be immortal if it is not affected by the Hayflick limit, the point where cells no longer divide because of DNA damage or shortened telomeres. Aging means an organism uses energy from the environment and gets rid of its decay as waste. Living systems naturally rebuild and repair themselves, which raises the question of why aging is necessary. What stops the cells from constantly repairing themselves? The one thing all these scientific researchers are not taking into consideration is the mind/body connection. 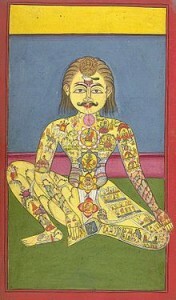 Western medicine sees the body as a machine: this thing we use to carry out our wishes. Who we are and what we do to the body has no bearing on what happens to it. Illness, then, becomes a random event. In the mind/body paradigm, aging and illness, is still due to the accumulation of junk in our body, but a large part of the junk is a result of our own ‘emotional garbage’ and reactive behaviour. Another part is due to environmental and chemical toxins. Our negative emotions, traumas, pains and blockages all create chains of amino acids in our body that alter our DNA and cellular functions (Dr. Candace Pert, NIH). Other researchers (Louise Hay and Dr. Ryke Gerhard Hamer) has shown links between our emotions and physical illness. The new medical field of epigenetics has shown that while our genes indicate a tendency for certain disorders, a combination of our diet, health and state of mind determine the outcome. We have some degree of control over our own health! And are not subject to the worst case inevitability of our genes (with the exception of some genetic disorders, mutations, etc.). A study compared positive thinking and long term outcome on illness. They found that positive thinking has no effect, but a positive attitude gave much greater long term survival rates. What’s the difference? Positive thinking is conscious surface thoughts, while attitude includes conscious and unconscious beliefs about life. In other words, thinking happy thoughts is useless, but developing a positive view of life changes everything. 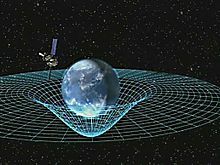 Quantum physics has proven that our thoughts literally create reality. 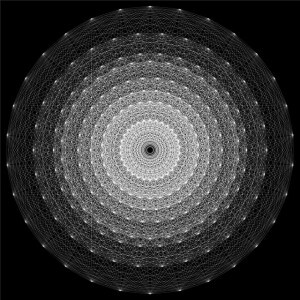 Everything is energy, constantly switching between photons and waves. In light of this, if we need to change our health, all we have to do is remove our negative emotions and matrix programming and the body will regenerate itself. Simple, right? In theory, yes, but facing our lifelong pains, traumas, bad decisions, and the endless mistakes we make, is not always easy. Healing the body also means healing the mind/emotions/spirit. Each acts on the other, and healing must work on all levels. Immortality means we have an illness-free happy forever after. Personally and globally. Once enough people heal their pains, there will be no need to cause harm to each other, and with the removal of our selfish negative desires, peace and love will dramatically increase. We access the divine within ourselves and create heaven on earth. Which is really what every spiritual path teaches, anyway.